For several years, I’ve been fascinated with the bat-wing buildings found during travels. 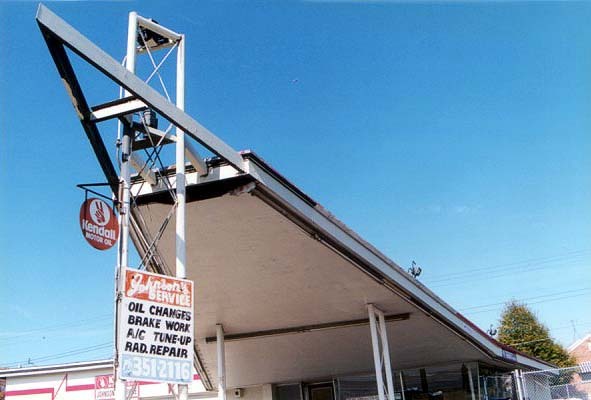 I once mentioned “finding another one,” and my father filled me in that those were formerly Phillips 66 gas stations. It was easy to figure the era of the buildings; there is none more mid-century car-centric than those bat wings. 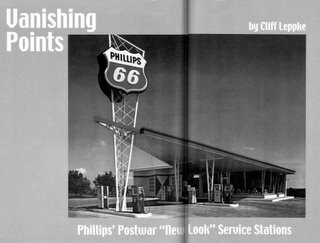 Having the Phillips 66 key did not help me track down any solid background information about the buildings. I was pretty much alone in my fascination for them, until my pal Darren Snow discovered my solitary hobby. 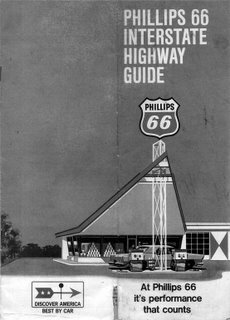 He went through old St. Louis city and county directories from the early 1960s, and meticulously wrote down all Phillips 66 addresses. 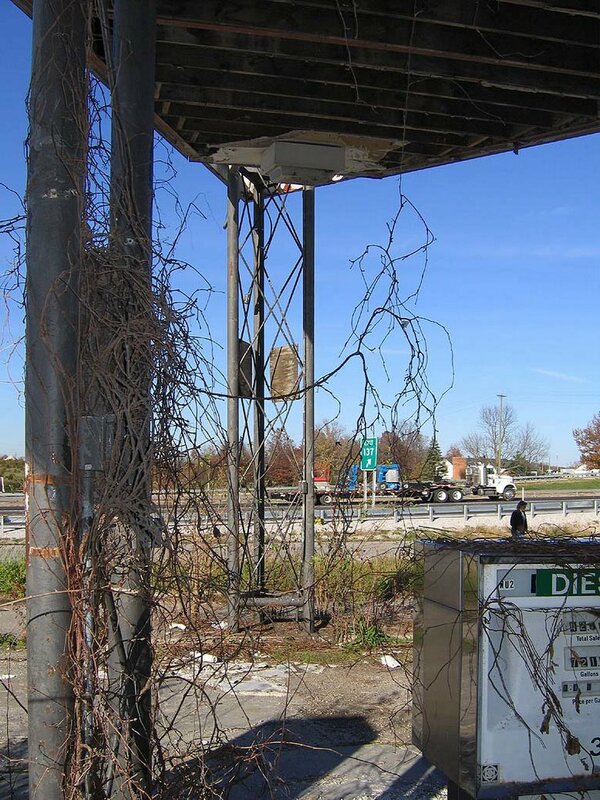 Much gas was used tracking down old gas stations. A few other like-minded folks were intrigued by my minor obsession, and began reporting back every time they found one. From East St. Louis to Hannibal, from Wisconsin to Indiana, the bat-wings were still out there. When not completely abandoned, they’re in use as some kind of car repair outfit. There’s no escaping the function of this very specific architecture. I amassed a lot of photos of a lot of remaining 66 Canopies. If I had limitless free time, I’d dig them all up for this narrative. If someone wants to pay me to do something useful with those photos, I’d plow through years of negatives and files. But this being the real world, we’ll stick with a smattering of Bat Wings. I learned to accept not knowing much of anything about the wings, other than what could be observed from all the specimens found. But it did seem odd that such a widely circulated, corporate-sponsored architecture was so woefully overlooked. Via Internet, I could see someone’s restaurant menu collection, but nothing on Phillips 66’s mid-century look? How absurd. 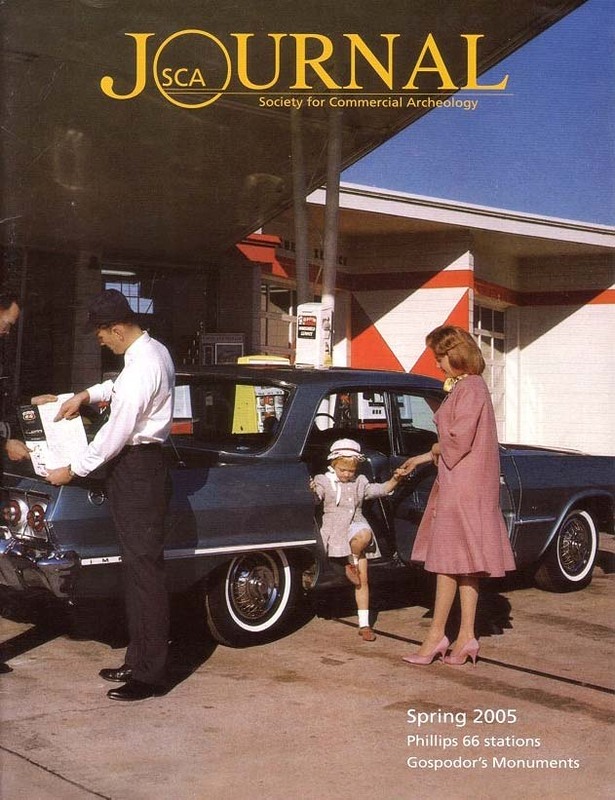 The Bat Wings landed on the cover of the Society for Commercial Archeology‘s magazine, with an 8-page article inside! The thrill of digesting writer Cliff Leppke’s detailed info on something that had long puzzled me was a dork’s delight… Gabba gabba we accept you, one of us, one of us! The wings were designed to point into heavy traffic and convey to motorists a “distinctive look of action, busyness… a spacious, more appealing appearance.” The “propulsion age air flow design” featured an abundance of fluorescent lighting because now more drivers were out at night, plus this safety feature – along with the new vibrant colors – would appeal to women drivers. The populuxe Harlequin 66 became ubiquitous in and around the new suburban frontiers, those post-WW2 cities that rapidly developed just outside a traditional big city’s borders. The arrival of the mobile home required taller canopies. The switch from full-service to self-service pumps required wider canopies to shelter consumers from the elements. 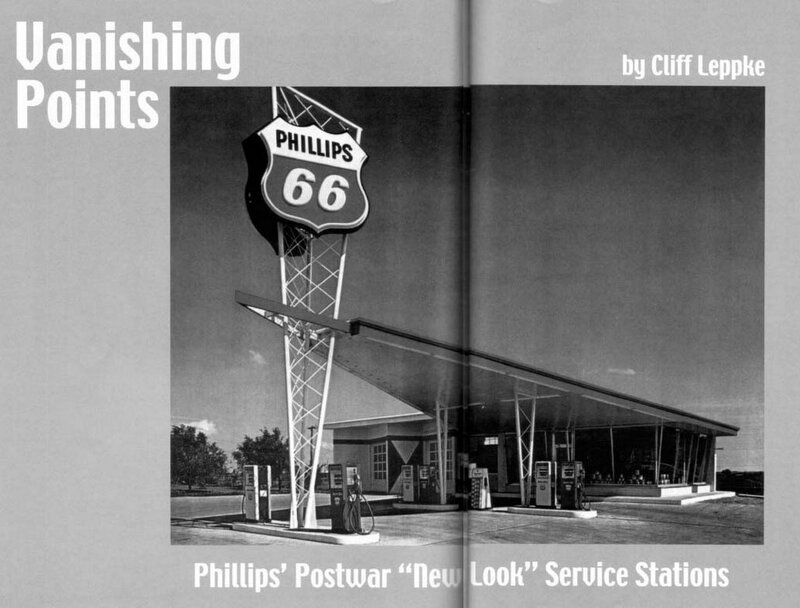 “Phillips advised dealers to install mansard roofs on New Look stations, to repaint them with dark earthtone colors…” In less than a decade, the Phillips 66 look went from stiletto to earth shoe. Once the 66 information damn burst, it became easier to find Bat Wing photos from across the nation. Roadside Architecture has a great page of Wings. The Kentucky Heritage Council put them in an Oblong Box category. What also emerges is a reverence for the double bat wing 66, and rightly so. Rock Hill, MO has just such an impressive creature, though the clock is ticking down to “time’s up.” That tale will be illustrated in Part 2. This entry was posted in Uncategorized by Toby Weiss. Bookmark the permalink. 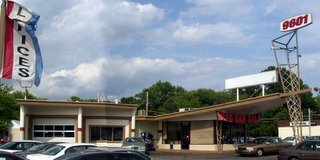 The Phillips east of Columbia, MO is now demolished. Thank you for sharing! 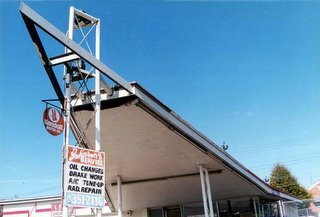 I am working on a project in Houston titled “Houston: Uncommon Modern” documenting everyday buildings of the mid-century and vernacular architecture of the time. We have found at least 5 of these stations in the greater Houston area. I’m happy to share pics. I just became interested in these “Batwing” stations recently. I was watching a youtube video featuring the Belmonts. The video showed “old” hangouts from the 1950’s and 60’s. 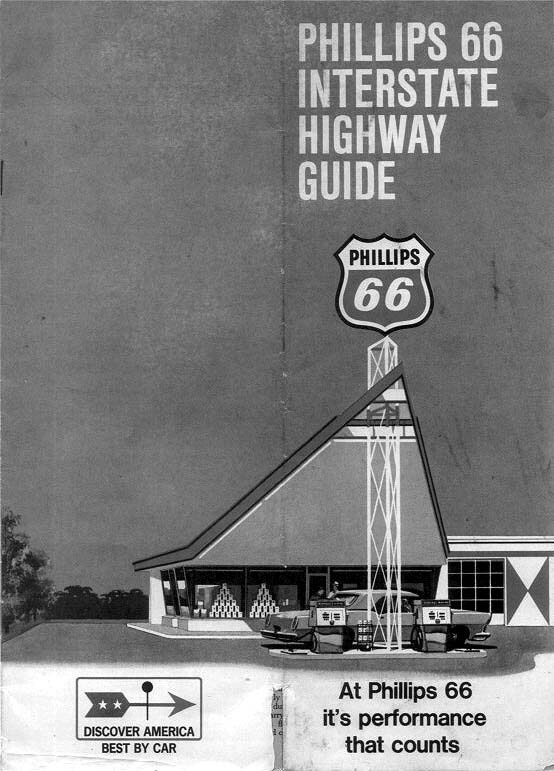 Then, there was a brief image showing the Phillips 66 Map and on the next picture it showed the “same” station in present time, with pumps shut off abandoned and alone in the middle of nowhere. It had the Phillips design on the right side of the building with 2 bay doors. I would be willing to contribute to your cause of finding your old negatives and photos. Especially, if you help me locate the Station I am looking to find. Thank you for the history and great pictures of my newest hobby. What a great blog! Enjoyed learning more about the Phillips stations. I may have to update some of my descriptions. I have photographed about 8 such stations in Kansas City. I thought you might be interested in this Burlington, Vermont Bat Wing that I restored into a restaurant. 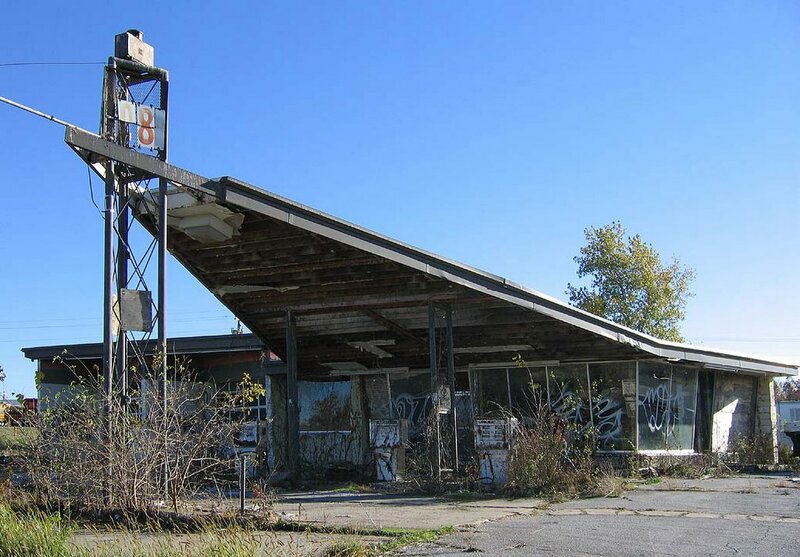 I alway thought that these style stations were Sunoco Stations, I guess i have the answer here. I see one this style in Lowell, Ma. I guess it’s was Phillips. 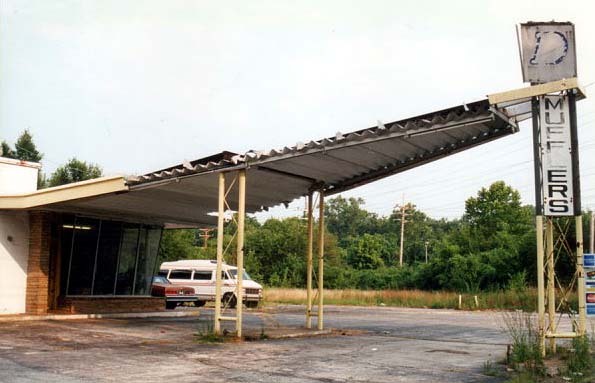 I have a special affection for the last station here, the one outside of Columbia along old Hwy. 40. I surveyed that building a couple of years ago when I was working for MoDOT on an architectural survey along the I-70 corridor. Of course it isn’t national register eligible- well, not yet- so MoDOT wasn’t too interested in it. And based on the survey guidelines they set up for this particular survey, we weren’t supposed to research anything post-1945. So despite how beautiful I think it is, I didn’t even get a chance to find the building permit for it. And if in the future they get to widen I-70 like they want to, then it will be gone as well. 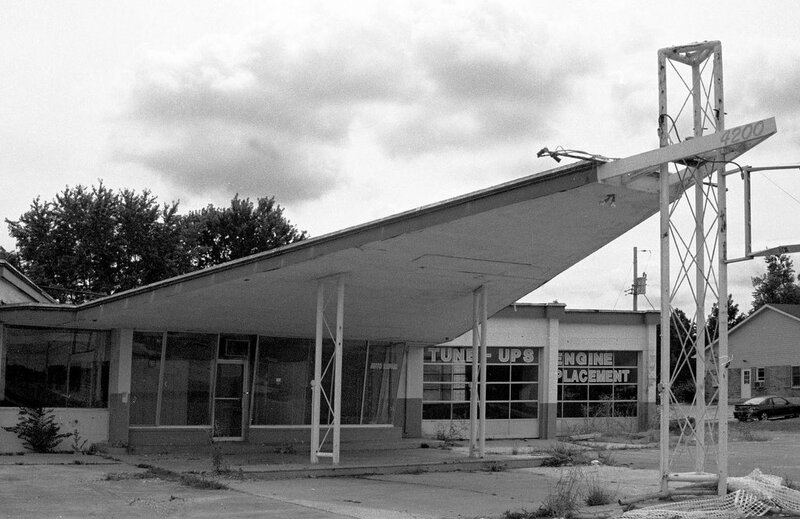 There’s another really awesome 1960s gas station in Kingdom City just north of I-70. Not a bat-wing, but equally cool I think. I know I’ve seen another bat-wing in north city that I don’t see here, but I can’t remember its location. North Grand maybe? Anyway, I think it is a BBQ place now. Someone with a better knowledge of the northside might know where it is.